Marmalade’s telematics scheme provides a solution for brokers to grow their share in the young driver market. 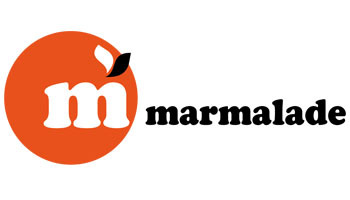 The scheme provides access to Marmalade’s comprehensive and competitively priced New Driver Insurance, as well as a unique car and insurance package, Cars for Young Drivers. Presently risks in Northern Ireland cannot be placed. Run a QuickQuote through Marmalade’s Broker Dashboard – takes less than a minute! The process to apply for Marmalade’s Cars for Young Driver is just as easy. All applications are made online, all you have to do is to refer your customers using your unique tracking link. This can be retrieved from Marmalade’s Broker Dashboard. Quick and easy QuickQuote process – takes less than a minute! *Based on Marmalade New Driver Insurance (your car) policies incepted 1st April 2016 – 31st March 2017. 1 in 15 Marmalade drivers have an accident within 6 months of their policy start date, compared with 1 in 5 young drivers who have an accident in the first 6 months after passing their test, according to National Statistics. Website: www.marmaladebroker.co.uk Please ensure you select ‘BIBA Scheme Member’ when registering.